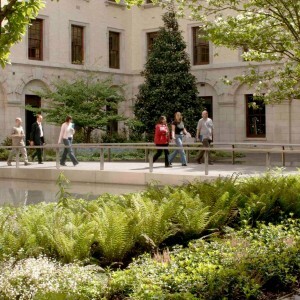 Gustafson Porter + Bowman is an award-winning landscape architecture practice which has received public acclaim for creating authentically engaging spaces within a global portfolio. The development of our design work has continuously pushed the boundaries of what constitutes the field of landscape design. Above all, we believe that landscape architecture is an essential discipline for the creation of healthy environments in the 21st century. 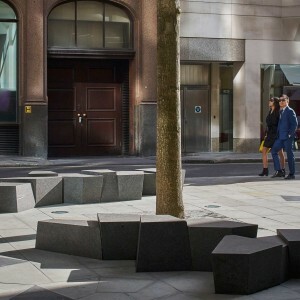 The practice was established in 1997 as Gustafson Porter, when the acclaimed landscape architect Kathryn Gustafson opened a London office with architect Neil Porter. Mary Bowman joined the practice in 2002. Kathryn, Neil, and Mary, together with partners Sibylla Hartel and Donncha O Shea, are supported by a team of landscape architects and architects from around the world. 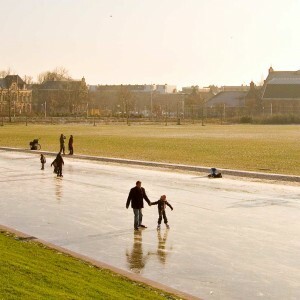 We keep a healthy 50-50 split between architects and landscape architects. This is a great asset when working in collaboration with other architects on complex projects, or when we need to design and build our own structures, as we did with Harbour Square in Beirut (2008-2011). Two-thirds of our design team are women, which feels an anomaly in the context of the wider construction industry today, though this is changing. All our projects are sensitive to their site. Many have observed that our work is sculptural, sensual and fluid, though we resist defining a ‘house style’. We were recently on two separate teams for the National Holocaust Memorial competition in central London, and the two schemes offer entirely different landscape proposals! In all our projects we investigate the most current technologies and methods and, if suitable, introduce them into our landscape designs. We often take reference from the immediate history and culture of a site. Ultimately, we believe in meaningful landscapes that connect body, mind, and soul with a physical and cultural environment. We are open to work in all sectors, and are currently leading designs or collaborating with architects on projects ranging from private gardens to major transport interchanges. 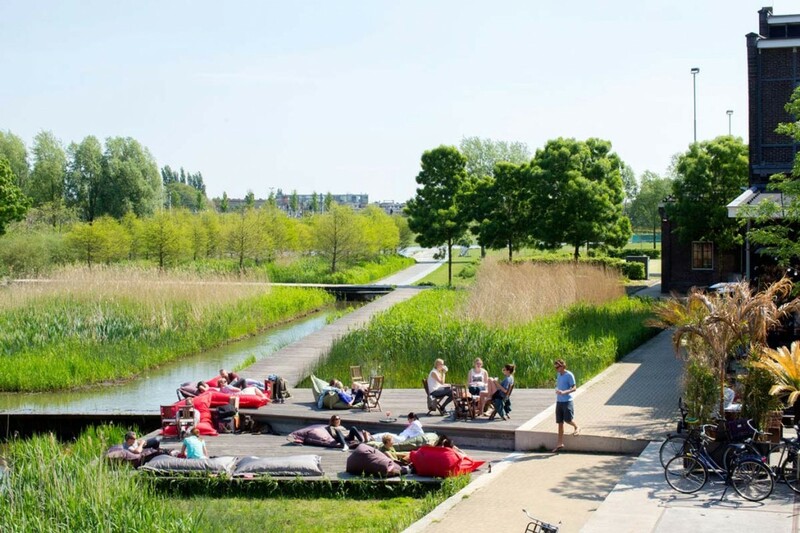 Some of our most successful projects are parks and plazas – For example, we are currently working on a new public garden in West London and a new plaza in Rotterdam. 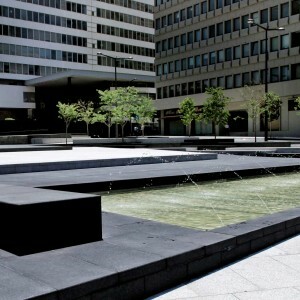 We are recognised for high-quality parks and plazas for public sector clients. We are currently working in Europe, Africa, the Middle East, and parts of Asia, where we can really push the boundaries of landscape architecture with projects such as Marina One, in Singapore. In our twentieth anniversary year, the practice is steadily growing with London and the Far East as the strongest markets. This year we have three projects completing: Rhine Terrace in Basel, Rathbone Square in central London, and Marina One in Singapore. 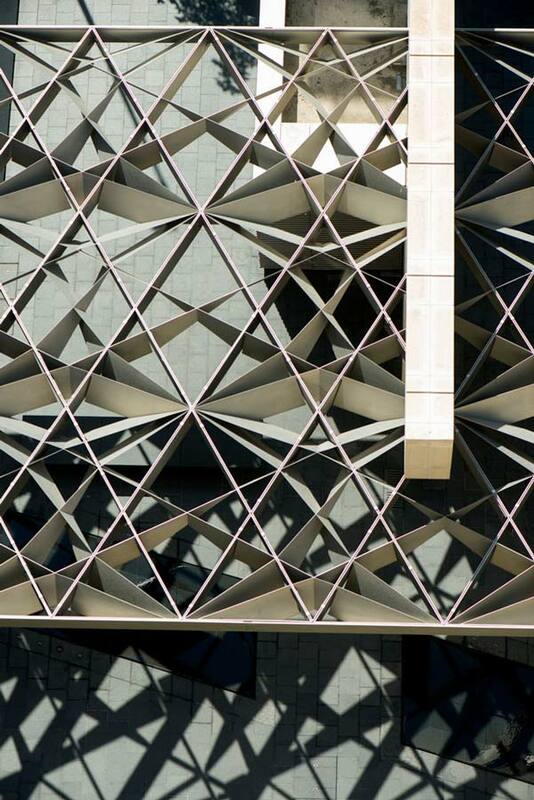 In the end, our true values remain the same: To intensify the experience ￼of time and place through landscape design. 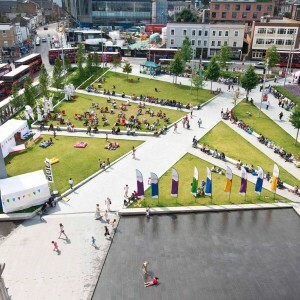 Landscape is a necessary feature of our built environments as well as an act of social and cultural expression. 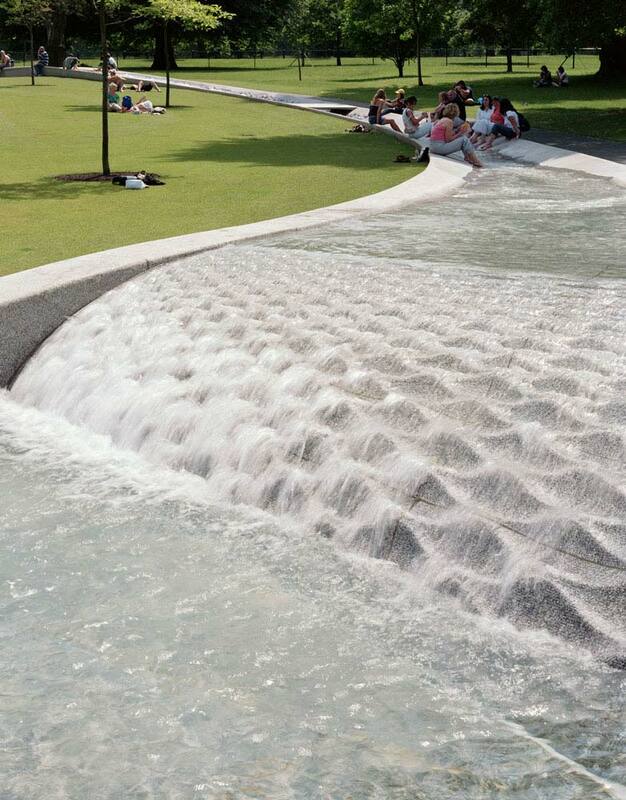 Opened by HM the Queen in 2004, the Diana, Princess of Wales Memorial Fountain was one of the most high-profile publicly-funded projects in the UK and has since attracted millions of visitors, won a series of international awards and become one of London’s most popular attractions. It pushed the boundaries of landscape design in the United Kingdom and has received overwhelming public acclaim since completion. Cultuurpark Westergasfabriek is one of Gustafson Porter + Bowman’s defining projects, and is considered as a model of brownfield reclamation within a physically dense urban context and a complex set of stakeholders. Created on the site of a nineteenth-century gasworks, Westergasfabriek is an award-winning multi- functional cultural space that brings together the urban and the natural realm. The scheme establishes a delicate balance between contamination and accessibility, invention and interpretation, revelation (of the potential of post productive lands) and renovation (of obsolescence into functionality). 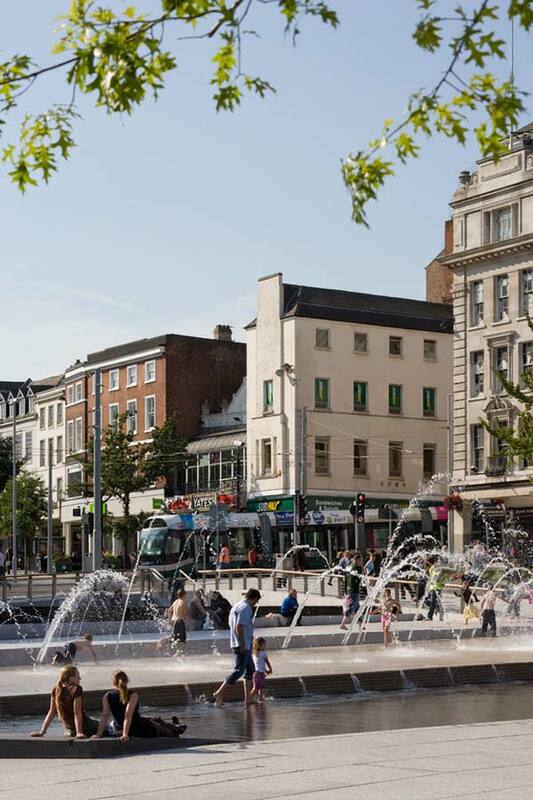 Developed in close consultation with the community, the redevelopment of Britain’s second-largest public square sought to match the quality of Europe’s finest public spaces. 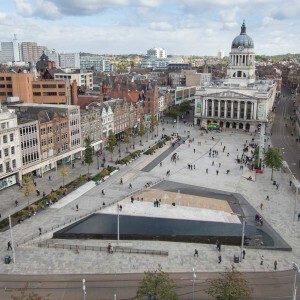 The new design incorporates the organic topography of the original medieval square, and creates a sense of place whilst reinforcing the distinctive qualities and character of Nottingham. This intimate courtyard evokes the area’s heritage at every level, from large gestures such as the steel canopy ‘floating’ on water, to details such as the harbor wall marking an ancient boundary between land and sea. Marina One is a high-density, mixed-use building in the heart of Singapore’s new financial district which supports the city’s ambition to become a ‘City in a Garden’. 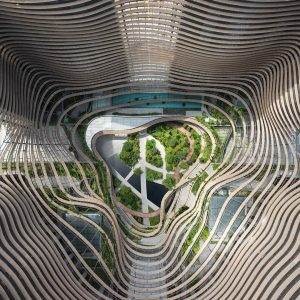 Designed by Ingenhoven Architects to appear as a plant-covered mountain rising up into the Singapore skyline, our design for the central ‘Green Heart’ unifies the sculptural and planted elements of the building’s architecture. 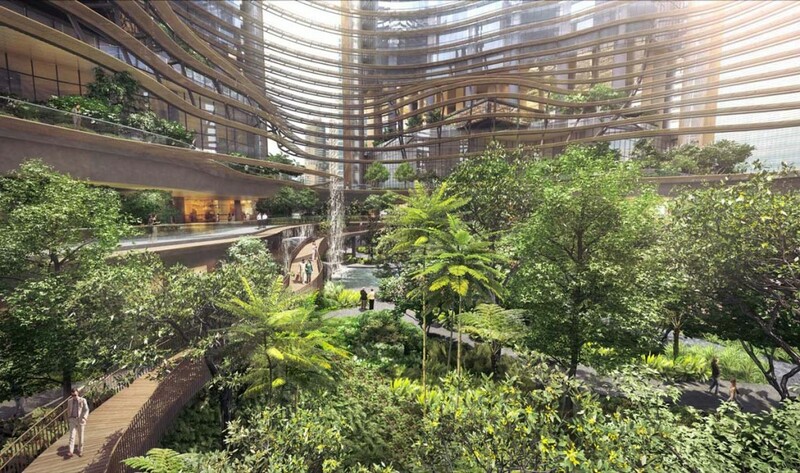 Following the demolition of two existing towers, Taikoo Place will create an inclusive open space which includes lush native vegetation and sculptural water features. The entire design is defined by large bands of brown and white granite which run through the site and extend into the surrounding streetscape and the new building lobby for One Taikoo Place, to the North. This lobby space is also designed by Gustafson Porter + Bowman. 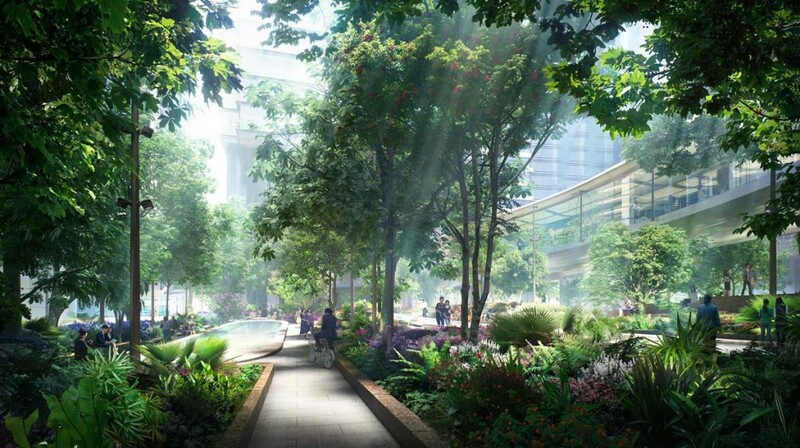 This unification of landscape and interior space embodies a genuinely whole solution which greatly enhances the public realm experience for all users.